A sharing from game industry veterans on how elements of fun can be applied across a multitude of user-centric experiences, even beyond the spectrum of games. 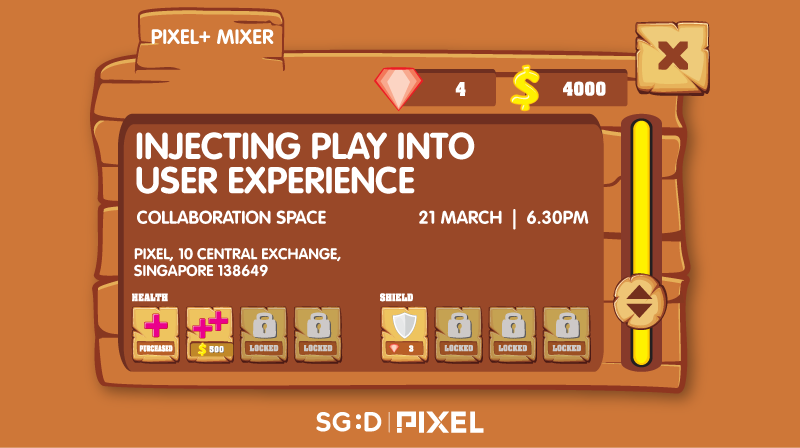 Gareth Tan from Rustbucket Interactive & Shawn Toh from BattleBrew Productions will share their perspectives and use cases that demonstrate how experiences can be gamified to engage your audiences. Companies in retail, tourism industries who are considering gamification to create enjoyable user experiences. Companies who are considering using interactive entertainment or gamification in training or generating awareness for their business.